La Palma is a world biosphere reserve with 706 square kilometers surface. The island offers beautiful scenery and many endemic plants and animal species. The island offers a variety of leisure activities: hiking, mountain biking, diving, paragliding, boat trips and much more… Hikers will find a paradise on La Palma, because there are many hiking trails of varying difficulty: the island offers more than 1000 kilometers of marked hiking trails! The most beautiful hiking trails include the National Park of La Caldera de Taburiente, la Ruta de los Volcanos (Nature Park Cumbre Vieja) and Los Nacientes de Marcos y Cordero (de las Nieves Nature Park). Whether volcanic landscapes and exuberant nature – on La Palma you can admire diverse landscapes! La Palma ist nicht umsonst ein Weltbiosphärenreservat mit 706 Quadratkilometern Oberfläche. Die Insel bietet wunderschöne Landschaften und viele endemische Planzen und Tierarten. Bie Insel bietet verschiedenste Freizeitaktivitäten: Wandern, Mountain Bike, Tauchen, Gleitschirmfliegen, Bootausflüge und viel mehr… Wanderer finden ein Paradies auf La Palma, denn es gibt unzählige Wanderwege mit verschiedenen Schwierigkeitsgraden: die Insel bietet mehr als 1000 Kilometer gekennzeichnete Wanderwege! Zu den schönsten Wanderwegen gehören die im Nationalpark La Caldera de Taburiente, la Ruta de Los Volcanes (Naturpark Cumbre Vieja) und Los Nacientes de Marcos y Cordero (Naturpark de las Nieves). Ob vulkanische Landschaften oder üppige Natur – auf La Palma können Sie die verschiedensten Landschaften bewundern! La Palma es una reserva mundial de la biosfera con 706 kilómetros cuadrados de superficie. La isla ofrece hermosos paisajes y muchas especies endémicas de plantas y animales. La isla ofrece una variedad de actividades de ocio: senderismo, bicicleta de montaña, buceo, parapente, paseos en barco y mucho más… Los excursionistas encontrarán un paraíso en La Palma, ya que hay numerosas rutas de senderismo de dificultad variable: la isla ofrece más de 1000 kilómetros de senderos marcados! Las más bellas rutas de senderismo incluyen el Parque Nacional de La Caldera de Taburiente, La Ruta de los Volcanes (Parque Natural de Cumbre Vieja) y Los Nacientes de Marcos y Cordero (Parque Natural de las Nieves). Paisajes volcánicos y naturaleza exuberante – ¡en La Palma se pueden admirar diversos paisajes! 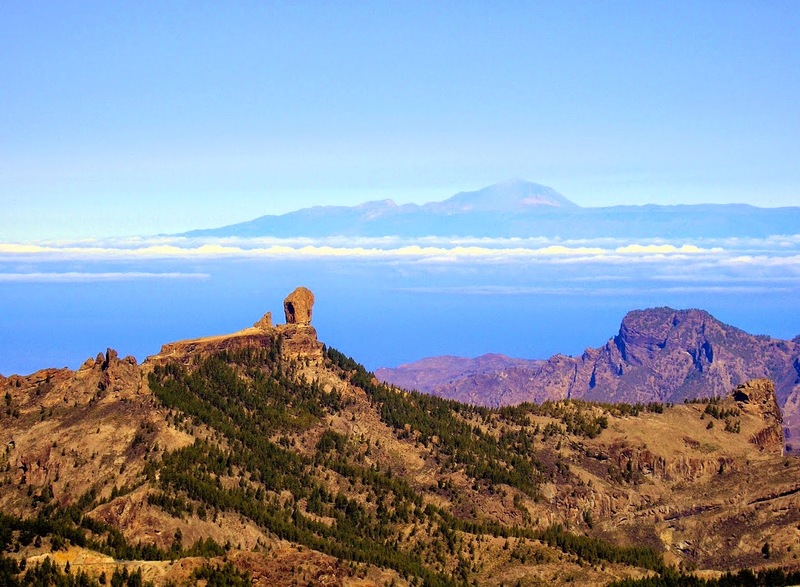 The Roque Nublo is one of the highest points of Gran Canaria. Especially known is its summit, which is crowned by a basalt rock and is considered the symbol of the island. The mountain has a volcanic origin and is located in a nature reserve in the municipio of Tejeda. The Roque Nublo is a popular hiking destination and is easily accessible via hiking trails. The climb is definitely worth it, because from the summit plateau you have a spectacular view which allows you to see Mount Teide in Tenerife in the distance. Der Roque Nublo ist ein Berg, der zu den höchsten Erhebungen Gran Canarias gehört. Besonders bekannt ist sein Gipfel, der von einem Basaltfelsen gekrönt wird und als Wahrzeichen der Inseln gilt. Der Berg hat einen vulkanischen Ursprung und befindet sich in einem Naturschutzgebiet in dem Municipio Tejeda. Der Roque Nublo ist ein beliebtes Wanderziel und kann leicht über Wanderwege erreicht werden. Der Aufstieg lohnt sich alle mal, denn vom Gipfelplateau aus reicht die Aussicht bis zum Teide auf Teneriffa. El Roque Nublo es uno de los puntos más altos de Gran Canaria. Especialmente conocido es su cumbre, que es coronada por una roca de basalto y es considerada el símbolo de las islas. La montaña tiene un origen volcánico y se encuentra en una reserva natural en el municipio de Tejeda. El Roque Nublo es un destino de excursión popular y se puede llegar fácilmente a través de rutas de senderismo. La subida definitivamente vale la pena, ya que desde la meseta de la cumbre se tiene una vista espectacular, que permite divisar en la lejanía al Teide en Tenerife. The Canary Islands are one of the best places to go whale watching in the world. There are 29 species of cetacean that live or visit the islands: bottlenose dolphins, spotted dolphins, pilot whales, common dolphins, sperm whales and many more. The calm ocean of La Gomera is a particularly good spot to go whale watching because a colony of short-finned pilot whales lives there all year round. Whale-watching is one of the island’s most popular activities, especially for kids. The best way to see whales and dolphins is to book a trip on one of the island’s whale watching boats. Their crews know the cetacean’s habits and are careful not to disturb them while making sure that you are close enough to get a wonderful experience. The South West of Tenerife, Los Gigantes, is also a good region to spot whales and dolphins. It is a permanent home for a big selection of whales and dolphins. On Tenerife there are many companies that offer excursions to see whales and dolphins: Bondea II Catamarán, Tenerife Dolphins, Lady Shelley and Maxicat. The most important companies on Gran Canaria are Taurito Water Sport and Líneas Salmón. On Fuerteventura you can check out Oceanarium Explorer and on La Gomera there is Océano Gomera. 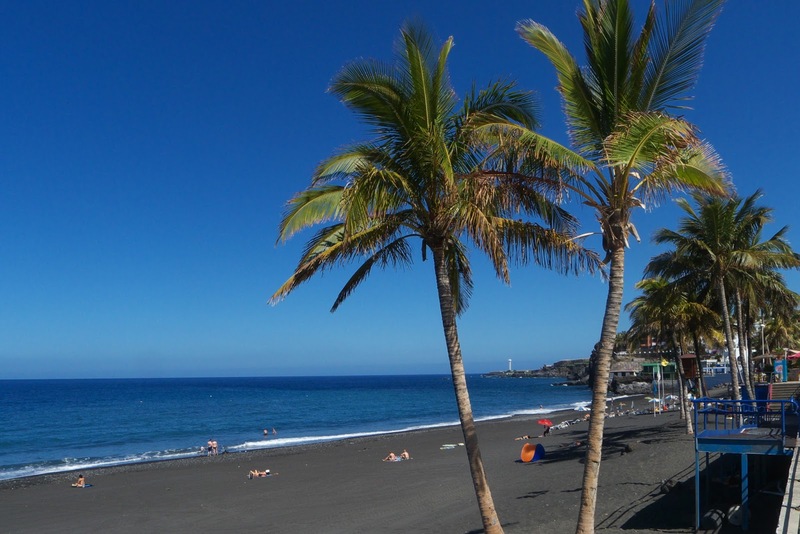 Enjoy an excursion to the sea on your holidays on the Canary Islands! A visit to the Teide is almost mandatory if you are on holiday on Tenerife. The volcano is 3,718 meters high, making it the highest peak in Spain. 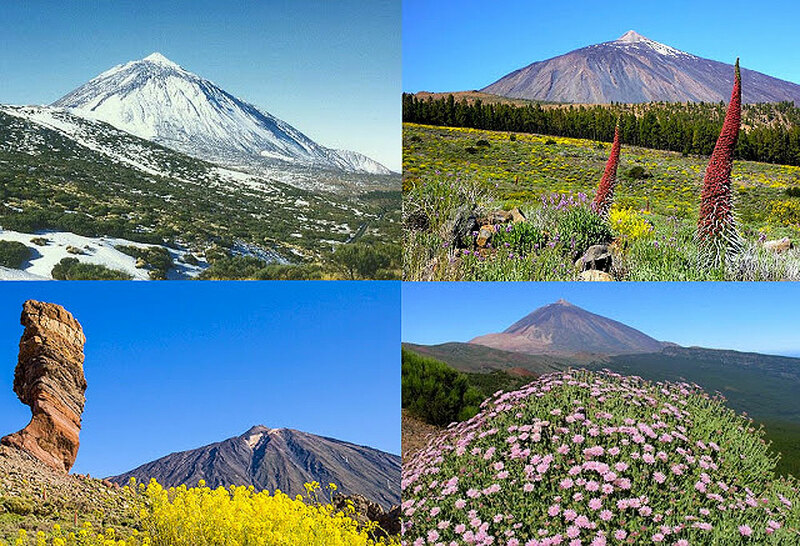 The Teide is located in the National Park of the Teide, which is one of the most visited parks in Spain. 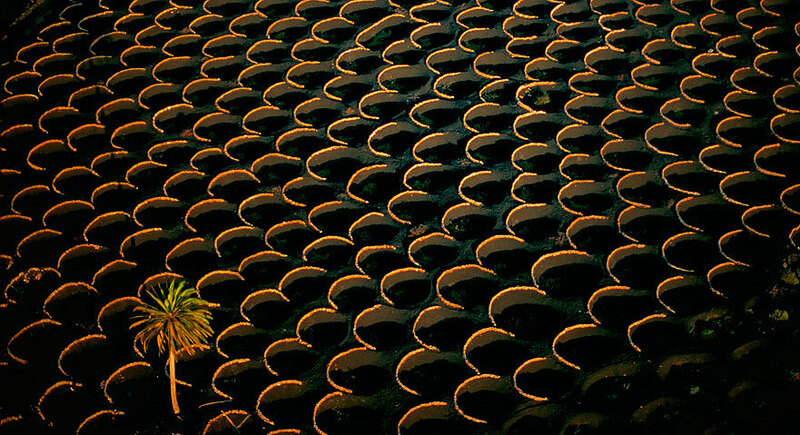 Annually more than 3 million people come to enjoy the volcanic landscape and the beautiful nature. The National Park of Teide has two visitor centers, viewing points, walking trails and restaurants. You can also take a cable car ride to the top of the Teide to enjoy a spectacular view. In spring, the National Park is full of colors and the warm temperatures make it perfect for hiking. But in winter, when the snow covers the lava fields, the Teide is still very beautiful. At night the star splendor is one of the biggest attractions of the National Park. Because of that an observatory is also located in the National Park. The canary wine has had a great recognition throughout history. It was consumed by kings like Francis I of France, Charles III of Spain and Alexander I of Russia and the English playwright William Shakespeare also praised it in his works: “But I faith, you have drunk too much Canaries and that’s a marvellous searching wine, and it perfumes the blood ere one can say: What’s this?”. The vine was introduced into the Canary Islands in the fifteenth century and had great importance in the sixteenth century. At this time it was popular in the courts of Europe and it was exported to America. Currently the production is small but it has a great quality. On the islands there are 33 protected varieties, 19 of which are white and 14 red. However, Canary wines have managed to get prizes worldwide and we highly recommend to test them on a visit to the Canary Islands. Especially accompanied by meals of the Canarian cuisine: delicious cheeses, “papas arrugadas” or local fish. Can you imagine losing your house playing bridge? In 1973, Omar Sharif, an Egyptian actor who is known for films such as Doctor Zhivago and Lawrence of Arabia, was making a film on Lanzarote. 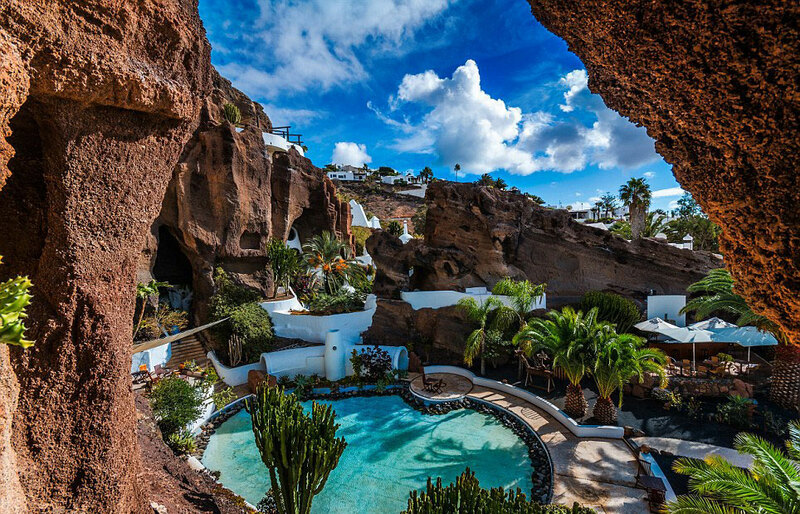 During his visit to the island, he discovered a beautiful house designed by César Manrique. Omar Sharif decided to buy it immediately. However, the actor enjoyed playing bridge and the lengend tells that he lost his house against his real estate agent. He didn’t know that his rival was the European bridge champion! Today you can visit the house Lag-O-mar. There is a museum, an excellent restaurant and a cocktail bar. It is also known for the events that take place there: concerts, jazz sessions, fashion shows, exhibitions and talk shows. The Casa Concha is near to Lag-O-mar and it is the perfect house for wonderful holidays on Lanzarote!